Are you a a son of a veteran? 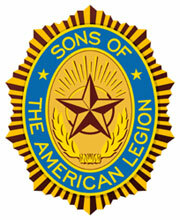 Would you like to join The American Legion? Give us a call at (352) 372-8802 or stop by Post 16 to check your eligibility status and apply for membership in the world's largest veteran's organization. Complete the application and proudly become a SON OF THE LEGION.